With all the mommy blogger hype, you’d think that moms would be flocking to Twitter, Facebook and other social networks to do their back-to-school shopping. But a new study says otherwise. Punchtab surveyed over 500 moms about their social media habits and their back-to-school shopping. 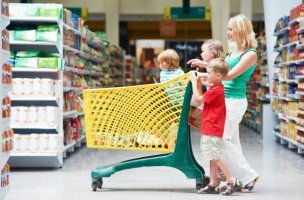 They found that 72 percent of moms will actually avoid using social media for back-to-school purchase decisions. And Twitter lags far behind Facebook for those moms who do want to do a little social media-based research before buying the kiddies new shoes and lunch bags: 22 percent of moms will turn to Facebook while only 1 percent say they’ll use Twitter. Online purchases in general are not expected to be a big part of back-to-school shopping, as 85 percent surveyed say they will do more than half their shopping in brick and mortar stores. Moms say they will spend more this back-to-school season than last year, with spending up 77 percent. And while 60 percent will use their smartphones while shopping in-stores, they’re not planning on using them for some last-minute Facebook review checking- they’re using them for coupons. You can read the full results of the survey over on Punchtab’s website.